Six young boys, champions in the sport, but especially in life, often marked by prejudices and stereotypes related to their disability. In a society that travels racing not paying them proper attention, they find themselves invisible and face daily struggles and difficulties, united by the wish for revenge against the common belief that they do not do. Alice, Anna, Claudio, Loris, Mauro and Pasquale are deaf. Different life stories and deafness, crossed each other, divided between sports club for Deaf and for hearing people. The guys on camera telling us how the sport has allowed them to overcome the barriers, their dreams, their hopes and their huge sacrifices to get to wear the blue shirt, the greatest ambition for every Italian athlete. The documentary is the brainchild of Ilaria and Tony, two deaf boys passionate about visual arts and sports with the desire to tell and bring to the screen a reality still unknown to most people. 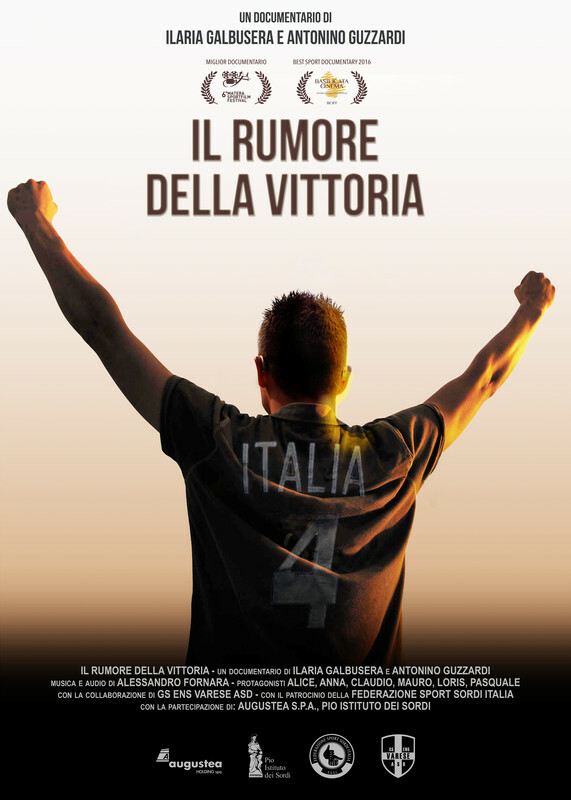 A journey through Italy, which lasted two years, following the human and sporting course of six deaf athletes with the aim to raise public awareness on an issue of which the media speak little.And find out through the words of the boys a reality from which to draw lessons and inspiration to face the obstacles and difficulties that everyday life often presents. From them that in life they have won everything. In Malo, a small Italian town near Vicenza, a group of young guys in their 20s, live their ordinary lives during the modern-day economic crisis. One of them is a costumed superhero, another one entertains himself by destroying abandoned factories. Day after day, they all try to grow up strong and never give up. While chatting in a pub with a little imagination, handling weapons and vandalizing things, they try to give their lives a meaning, even if it seems very hard. Giuliano Calore, born in Padova (north-east Italy) in 1938, is a living legend of extreme cycling. Some of his extraordinary exploits are now to be found in the Guinness Book of World Records, and led him to receive the coveted honour of King of Records in his field. During the film shootings Giuliano, who is now 77 years old, has decided to suprise us achieving one last record: he wants to exploit the twists and turns of the legendary Monte Stelvio Pass, the scenic location of some of his previous astounding demonstrations of equilibrium, tenacity and inexhaustible strength, and also where some of the most famous moments in the history of cycling have taken place. 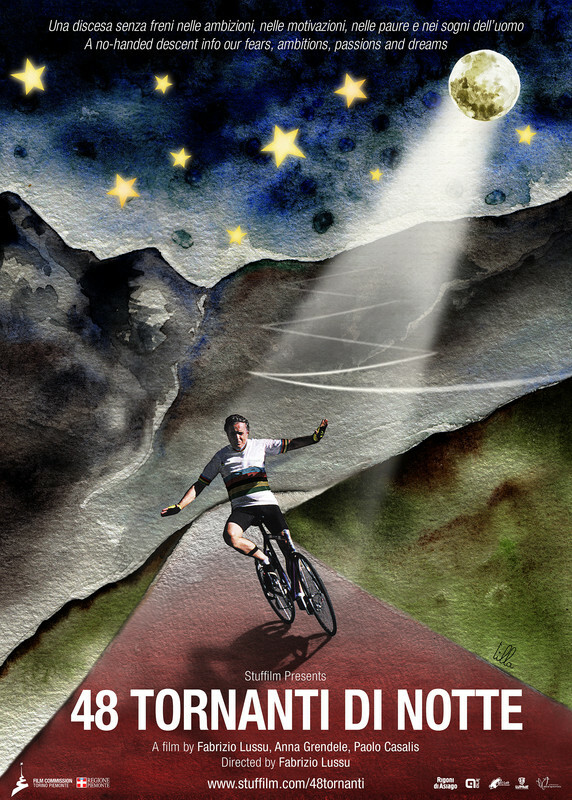 This is his most impressive challenge so far: descending from the Stelvio Pass - at an altitude of 2758 m - at night, with all of its 48 hairpin turns, on a bike with no handlebars or brakes, illuminated only by a torch and moonlight. "48 Tornanti di Notte" tells the incredible story of this extraordinary character, with a boundless passion for cycling and a free, unconventional lifestyle. A no-hands descent into our fears, ambitions, passions and dreams. A travel through the sea and through generations, following an ancient and daily labor, made of simple gestures repeated over and over in the dark, until the dawn comes. 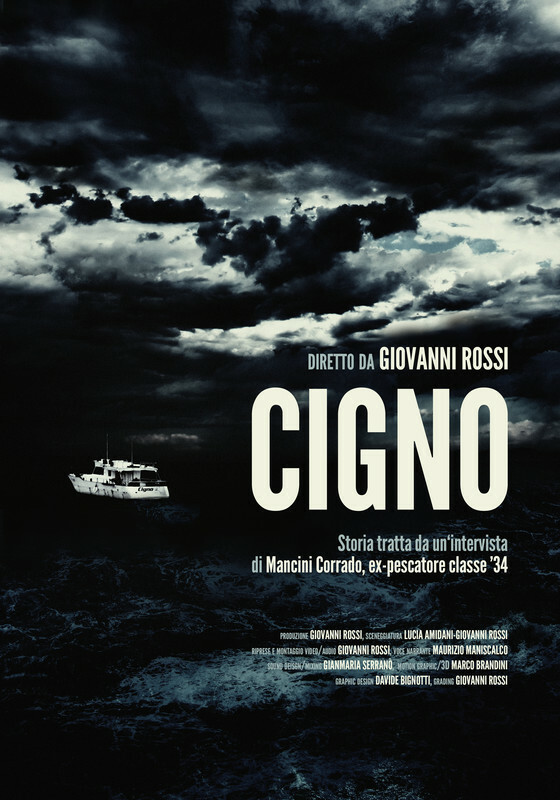 In “Cigno” the camera becomes the discrete observer of a common workday of common people, not to report or denounce, but to observe with curiosity a hidden routine, far from the modern society speed of life. And in the rusted deck, in the beat of the hammer, in the surfacing net we glimpse the dignity and the beauty of the Swan.